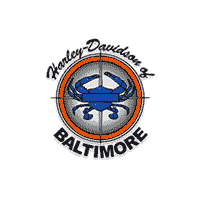 – Designed in conjunction with the Motorcycle Safety Foundation®. – Develop the proper understanding and skills for being safe on the road. – Approved by the Maryland Motor Vehicle Administration. – A minimum of a C Class Driver License is REQUIRED to participate in this course,however, riding experience or a motorcycle learner’s permit is NOT REQUIRED. We look forward to welcoming new students for the 2019 training season. REGISTRATION IS NOW OPEN! READ BELOW FOR GENERAL INFORMATION ABOUT OUR PROGRAM AND CLASS FORMATS OFFERED. eCourse – On line course – must be completed on a laptop or desktop computer. It is a PREREQUISITE for the rest of the course! Use of a Harley-Davidson 500cc Street Motorcycle. Online registrations require payment via VISA and MasterCard credit cards ONLY. In Store payment VISA, MasterCard, American Express, Discover, debit cards, cash, and checks. Payment does not imply or guarantee successful completion. Click the orange button to view schedule and register on line! If your class falls within a holiday week, please verify your class dates and times they may have been adjusted to accommodate holiday scheduling. All courses must be completed in their entirety and you may not mix & match days and times. No reschedule/refund 14 days or less prior to the start of class. If registration takes place within the 14 days prior to class you are automatically subject to the cancellation policy. Failure to be prepared for class (including completion of online eCourse) is subject to dismissal from the course with no refund/no reschedule. Students must be able to speak, read and understand the English language. No interpreters are allowed. No other language materials are provided. Complete the online eCourse no more than 30 days prior to first class session. After you have secured your class reservation, please access the MSF website training.msf-usa.org/eCourse/Basic It is a PREREQUISITE to participate in the New Rider Course! eCourse cost is $19.95 and must be completed within 30 days prior to your first class session, on a laptop or desktop computer. Students who are under the age of 18 must report to the first day of class with their parent/guardian, who must sign the waivers in the presence of the class instructor.